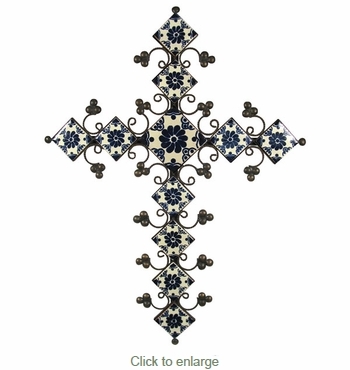 This rustic iron decorative cross with blue and white Talavera tiles makes a great gift or the perfect decorative accent for your home. Our selection of iron home accents compliment any southwest, Spanish colonial or rustic theme. All of our rustic metal accessories are authentic creations handmade by artisans in Mexico.